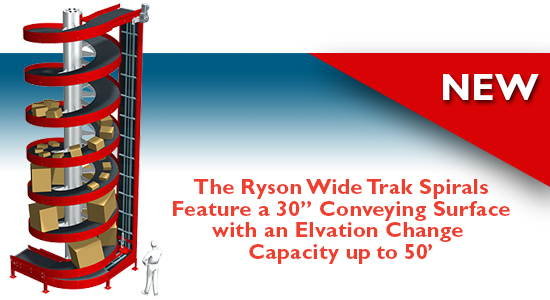 Welcome to Ryson International, Inc.
Save space and increase throughput with Ryson Spiral Conveyors and other Vertical Conveying Solutions. 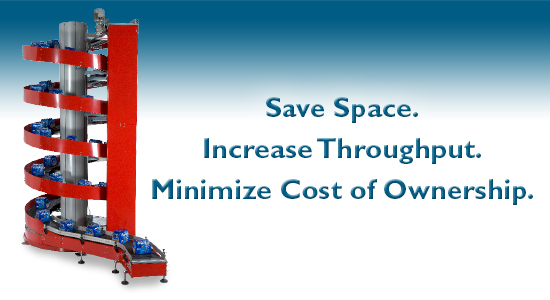 We can help reduce your operating cost and the cost of ownership. 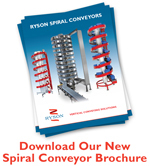 We are the number one manufacturer of spiral conveyors in the USA. The Mass Flow Spirals are designed to handle full and empty bottles, cans, jars and other similar containers up to 2,000 per minute. The High Capacity Spirals can go higher and have double the capacity of our regular spirals. 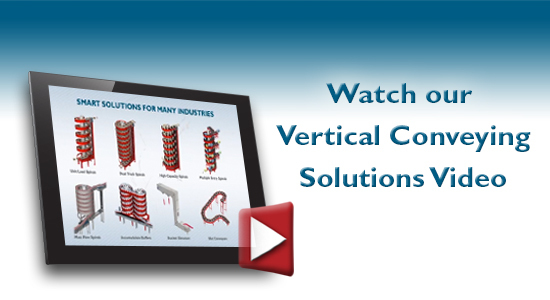 These spirals can handle a variety of load sizes, big and small. 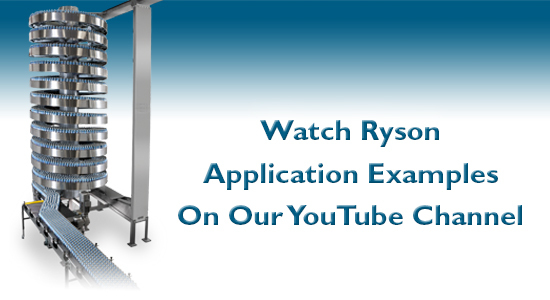 They are ideal for warehousing and order picking operations. A 6” and 9″ wide nesting slat can end-transfer small cartons and packages or side-transfer small bottles and containers in a single file or in mass at speeds in excess of 200 FPM. 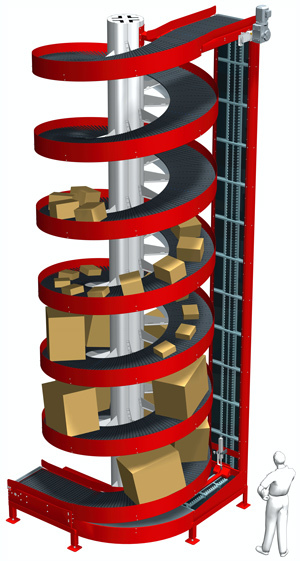 The Multiple Entry Spirals allow loads to enter and exit the spirals from several different elevations. 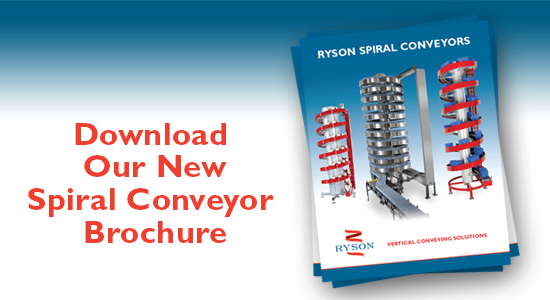 A high speed induction conveyor provides controlled spiral entry. Bucket Elevators are heavy duty, totally enclosed, have pivoting buckets and can be supplied with multiple in and outlets. The Dual Track Spirals are the ultimate in space savings. Two tracks operate independently within one spiral structure. 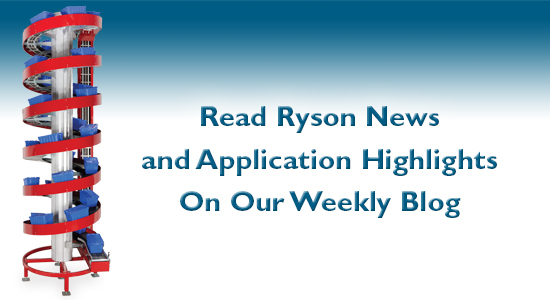 Find out more about Ryson and its green products and sustainability.